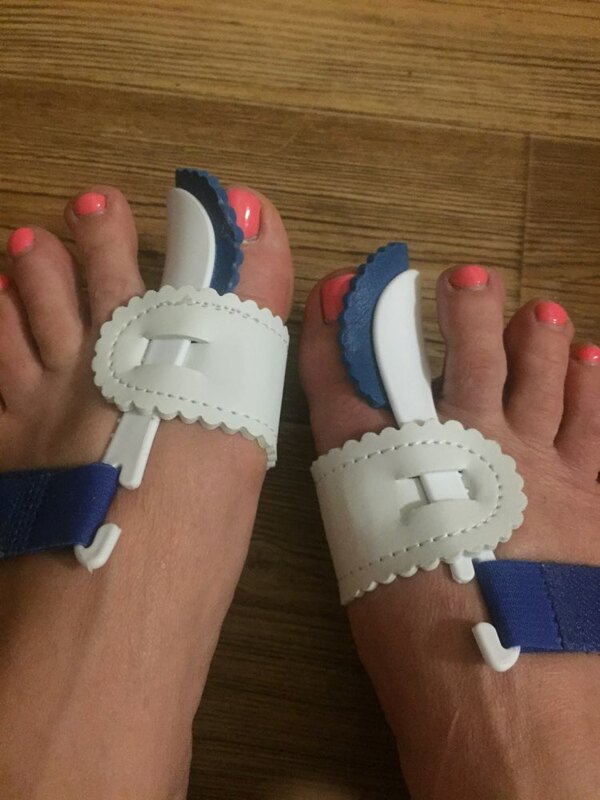 This Bunion Corrector Splint is effective for correcting bunion and treating bunion-related pain! Now you no longer have to hide your feet or resort to surgery just to get your bunion corrected. With its universal size and adjustable strap, it'll fit your feet no matter how big or small it is. Non-Surgical and Painless Alternative - Don't resort to expensive surgery with significant downtime when you can treat your bunion non-surgically. It's a painless alternative that makes bunion treatment and recovery easier! 3-Point Pressure System - The Bunion Corrector Splint addresses the three important points for correcting foot deformity. Fits Most Foot Sizes - With its adjustable strap, you can easily alter it to achieve your desired fit and it can also be used whether for your left or right foot. Instant Comfort - Its built-in adjustable bone pad and light medical grade PE material keeps your toes from unnecessary rubbing and tenderness. Provides Stabilizing Support to Your Feet - This bunion corrector is specifically designed to stabilize the mid-foot arch for optimum recovery. 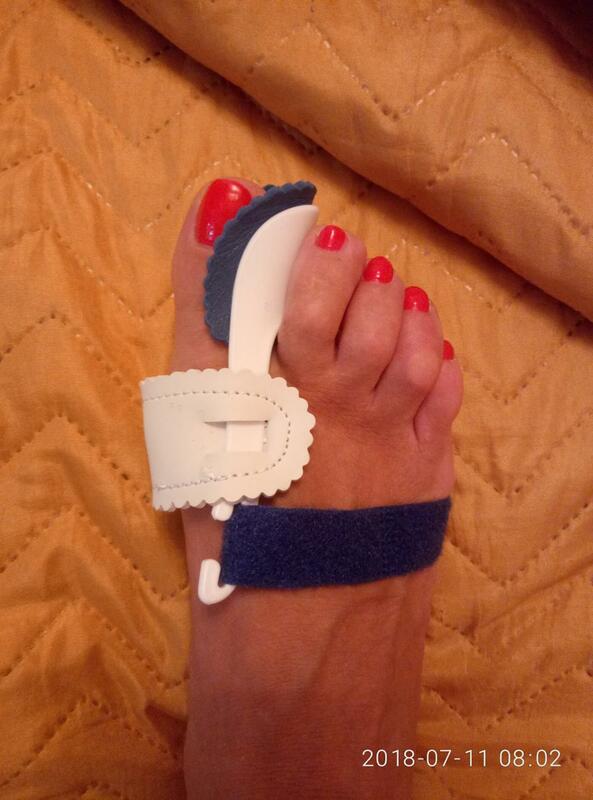 Wear the splint on the big toe, gently guide the big toe to its natural alignment. Run the Velcro under the foot and across the foot dorsum until the Velcro passes through the slight opening on the plastic clasp. 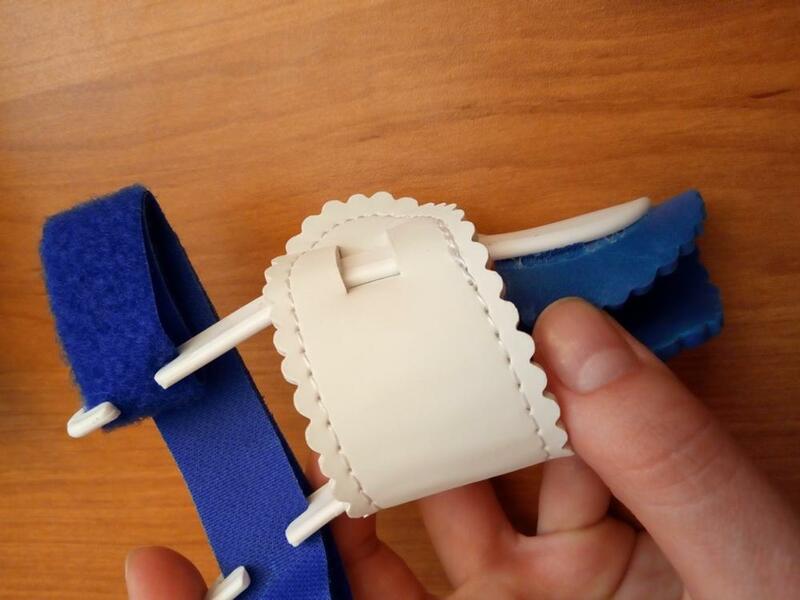 Gently tighten the support until the big toe appears to be correctly positioned then secure the position by strapping the Velcro in place. Note: The Bunion Corrector is not designed to be comfortable for walking. We highly suggest to wear it at bedtime. Works just as well as the first time! Too bad I lost the first one. 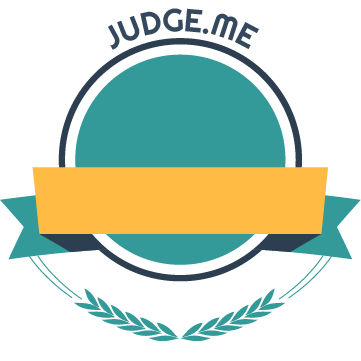 Amazing product, amazing seller! Really good at correcting bunion. This has become my sleeping companion. Instant relief! This product is one of the best purchases I've ever done. I can't express how thankful I am for this! I already started not using it since I feel that the bunions are completely corrected. Will still be using from time to time for maintenance but really, thanks a lot! The splints worked like a charm! The pain is gone and my feet are looking better! 5 stars for this!